This is the latest in a series of guest posts on teaching creative writing. I asked Susan Ito whether she might write about the revision boot camp she runs. Another post from her is forthcoming. 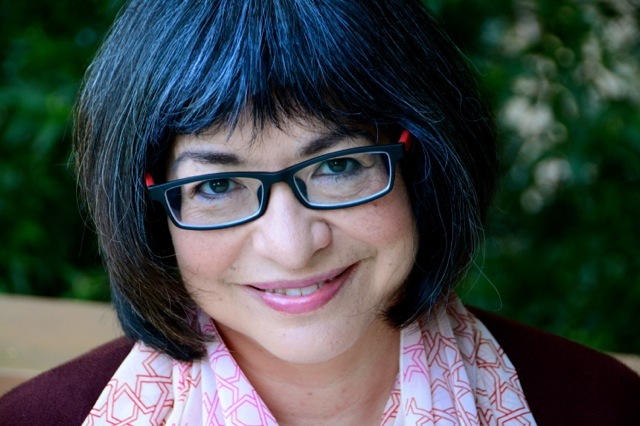 Susan Ito writes and teaches at the San Francisco Writers Grotto, and is an adjunct professor in the MFA programs at Mills College and Bay Path University. I have been teaching writing classes for over twenty years, in a variety of settings, from community college to MFA programs and writing centers like the San Francisco Writer’s Grotto. I’ve found that for some student writers, “revision” is equivalent to copyediting for correct use of commas. I began by scheduling one or two workshops for their newer drafts, and then a later “revision” workshop. But it became clear that many were intimidated by the whole idea of revision, or didn’t know how to tackle it. And face it, isn’t it challenging to come to what feels like the “end” of a story and then tell yourself, “Now revise it. Make it better.” Where does one even start? One of the most invaluable tools I’ve used is a dog-eared copy of What If? by Pamela Painter & Anne Bernays. This helpful book contains a comprehensive collection of exercises for fiction writers, ranging from issues of character development to plot to sentence structure. One exercise in particular caught my eye early on: a checklist to go through when revising, including many of the key exercises in the book. It was prescriptive, suggesting that writers who struggle with setting try this particular exercise, or for dialogue, another. I started using this approach when meeting with students for individual conferences. Some of them really needed to practice developing scenes from too much summary; others needed to take a scalpel to their adverbs. I began prescribing specific exercises, depending on their particular challenges. I realized that it’s hard – maybe even impossible- to do more than one thing at a time. It’s challenging to step back from a story draft and simultaneously address sentence-level (or even word-level) revisions, while also managing issues of dialogue, character and plot. So I began organizing classes solely devoted to revision, organized the same way that my trainer set up circuit training sessions at my gym. After I’d gotten to know the class and their most common areas for improvement, or closer focus, I set up the “revision boot camp” with ten stations, each one devoted to a specific revision exercise. At first, the majority of the exercises came from the pages of What If? One of the most dreaded, yet revelatory ones, involved dividing their story into distinct scenes or passages, and then physically cutting them apart with a pair of scissors. Then they could re-arrange the paper sections on a large table and see – what would it feel like to begin the story with this scene, instead of that one? What if they eliminated backstory and put it in purely chronological order? What about reverse chronological order? Was every scene completely necessary? Taking a story apart on a physical level like this was often alarming at first, and then exciting—and something that is virtually impossible to do when one’s perspective is limited to just one page at a time on a computer screen. Even the magic of word processing can’t substitute for this sort of birds-eye view of one’s entire work. Another station, devoted to the five senses, came equipped with a set of colored pencils or markers. The students chose five colors to correspond with the five senses, and then went through their manuscript underlining every time a taste was mentioned, or a vivid image, or a sound. If there was an opportunity to add a few words regarding a sensory experience, they marked an arrow in the corresponding color. Scent and touch were the most underutilized senses, often not included at all. It was exciting for them to realize that they had depicted a scene at the ocean, a cattle farm or a cheese shop, without one reference to what characters were smelling. A powerful exercise that illuminated motivation, or a character’s inner life, started with a blank sheet of paper and an envelope. “Write a letter from one of the main characters to someone else about what is happening in the story.” This activity often elicited gasps as they channeled their characters’ hidden thoughts. These letters didn’t necessarily end up being part of the stories, but they were a strong tool for understanding previously opaque characters. The students arrived with two printed copies of their stories, and divided themselves up between the ten stations. They spent ten minutes at each station, carrying their manuscript from one to the next. I timed their circuits, first with a kitchen timer, and later with a gentle meditation bell on my iPhone. It wasn’t possible to go through their complete story at each one, but it gave them a taste of what their story might need at home – closer attention to overuse of the verb “is” or “are,” a heightened sense of setting (accomplished by drawing a map or blueprint of the environment in which the story took place). They were working hard, and having fun examining their work from myriad angles. It was hands-down one of the favorite aspects of class mentioned in the student evaluations. Over the years, I’ve added to my repertoire of Revision Boot Camp activities. I’ve found great exercises in other books, or from colleagues’ recommendations. I sort them into categories, and based on students’ needs, have reconfigured the circuit. It’s now a full-day event at the San Francisco Writers’ Grotto, with students starting out the day discussing their thorniest revision challenges, then doing a half-days worth of manuscript workouts, a lunch break and then an afternoon of more exercises based on their requests. They finish the day with pages filled with drawings, colored codes, taped-together scenes and the realization that revision is not just one thing– it’s many, many things, that each require a different sort of attention and no doubt a different part of one’s brain. Taking it all apart in order to put it back together again can be one of the most useful, and surprisingly fun, ways of making a story better.